We were looking for Spain to really get the tournament going – they did exactly that, but by being on the end of the biggest shock so far, rather than providing an amazing attacking display. Switzerland’s win was remarkable – to keep a clean sheet against this Spanish side is very impressive. Ottmar Hitzfeld’s side did not actually play particularly defensively – they rarely had the ball, certainly, but they broke in numbers and frequently got four men in the box when they had the ball in an attacking zone. Spain fielded the anticipated side in a 4-2-3-1 formation. Switzerland fielded a more defensive version of their usual 4-4-2 shape, with Gelson Fernandes on the left, and two defensive-minded central midfielders. It was basically a 4-4-1-1 formation – leaving one man upfront occupying the two centre-backs, and another just behind looking to close down Xabi Alonso and Sergio Busquets. Behind those two, they kept two banks of four but didn’t defend particularly deep, nor keep it tight between the lines. Instead, their game was based around preventing the flair players getting time and space on the ball, by immediately harrying them when they received a ball to feet. For all their possession, Spain didn’t create that many goalscoring opportunities. Whilst Switzerland defended well, the most notable feature of the game was quite how bad David Silva and Andres Iniesta were when they got the ball, how anonymous Xavi was, and how frustrating the full-backs were to watch. The Swiss can take some credit for forcing them into poor performances, but even the pressure on the man in possession doesn’t excuse constantly bad passes, poor movement and a lack of drive from Spain’s host of top-class players. Here, the immediate pressure when players receive possession is clear. David Villa drops deep into midfield to pick up the ball, but Philippe Senderos follows him 15 yards forward, gets tight on him and prevents him turning. Here, the same thing happens when the ball is played into Busquets – Stephane Grichting comes high up the pitch to meet him and doesn’t allow him any time on the ball. Late on in the game, the Swiss prevented intelligent balls into the front players by using their forwards well in a defensive sense. Hakan Yakin was brought on as a substitute in the final ten minutes to pick up Xabi Alonso, and prevent him playing long forward passes. Blaise Nkufo was superb for Switzerland, and did a similar job on Gerard Pique, a centre-back capable of bringing the ball out from defence if given time. Also, in these two photos, notice how Goklan Inler is man-marking Xavi, tracking him wherever he goes. For all the good work by the Switzerland defence, however, they were not perfect. They got themselves into some awkward positions; the full-backs often left a large gap between themselves and the centre-backs, whilst the centre-backs’ desire to track David Villa and Fernando Torres when they dropped deep meant they often left spaces at the back. Look at this shape above, for example. The Swiss have been caught in an awful position at the back from a Spanish counter-attack, but there there are too few Spanish players looking to exploit the clear space in the centre of the defence. Here, Sergio Ramos has a throw-in in a reasonably attacking position, but only Villa is really looking to take up a position in advance of the ball. Ramos throws it to him, but with Grichting tight and Senderos covering, Villa clearly needs support. None of the attacking band of three look to make a direct run towards him, and so possession is lost. The lack of Spanish width was incredible – look at this shot from the first half, with Spain’s four attacking players within a ten-yard square in the centre of the pitch, allowing the Swiss defence to concentrate on such a narrow space, leaving the flanks completely free. Here is another example when the ball is deeper in midfield – Busquets, Alonso, Silva, Xavi and Iniesta are all in central positions. This problem was solved by the introduction of Jesus Navas in the second half (marked in pink), and he looked the brightest attacking player for Spain, highlighting the problems with width until he came on. Here, Sergio Ramos picks up the ball in a wide position and is confronted by the Swiss left-back Reto Ziegler, who has moved 15 yards up the pitch to face him. But no Spain player is looking to make a run into that space, or to give Ramos the option of playing a forward pass, and the ball is played backwards again. This is what needed to happen more. Here, Ziegler has been attracted to Iniesta (run and player marked in pink), leaving Ramos with space to exploit down the right-hand side. Ramos received the ball in a dangerous position, although he wasted the chance by shooting into the side-netting. All too often, though, the above is what happened. Ramos could take up a position 15 yards further forward and really provide an attacking outlet, but instead gets into a position to receive a sideways ball from the midfielders. You could argue that the position marked by the blue dot would be too advanced for a full-back – but consider that Ramos’ man to pick up is Gelson Fernandes (also marked in blue), in a position unlikely to cause an immediate attacking threat, so Ramos moving forward would be a gamble worth taking. The biggest disappointment, though, was Xavi, who didn’t seem comfortable playing as the central playmaker in a 4-2-3-1, despite having been fielded there for most of the qualifiers. A player in that position should be looking to link up with the front player, and should thrive on finding space inbetween the opposition lines of defence and midfield. Above, as the ball is being played to the far side, Xavi (marked in pink) is in that space between the lines, also marked in pink. Seconds later, however, Xavi has retreated to a deeper position, one that he is more used to. Surely in his role in this formation, he should be looking to pick up the ball in an area roughly around the square of pink dots? He eventually does get the ball, but he plays a simple sideways ball for Alonso, rather than the key pass that a central playmaker in a 4-2-3-1 should be looking for. A good defensive job from Switzerland, but Spain played into their hands in many ways – they were narrow, they didn’t get their full-back forward enough, they didn’t get midfield runners to Villa, and there was simply not enough variety in their approach. With the amount of attacking talent Vicente del Bosque has at his disposal, it’s probably too easy to criticize his choices of substitutions. Bringing on Navas and Fernando Torres were natural options, and Navas provided the width Spain needed (although Torres looked off the pace). Navas deserves a chance to start after Silva’s shocking performance, and there must also be a feeling that del Bosque should look to Cesc Fabregas in the next game, however. His driving runs from midfield would have been exactly what Spain needed, and he would have enjoyed the space between the lines, allowing Xavi to drop back into his preferred deeper position. Who Fabregas would replace in the side is an interesting question – Busquets offers more discipline than the more talented Alonso, and a Xavi-Alonso midfield partnership might be a little bit too creative for del Bosque. Xavi is undroppable, and therefore Alonso might be the man to make way. A front six of Busquets, Xavi; Iniesta, Fabregas, Navas; Villa would surely create more goalscoring chances than Spain did in this game. Apologies to Switzerland fans, but the story here is not merely that the favourites were beaten, it’s that the favourites played absolutely awfully. I was surprised by del bosque’s decision to field three central midfielders with such similar styles. I was thinking the same thing about fabregas when I heard Spain would continue with that shape. He played there excellently for arsenal and would add a much needed threat from midfield. If you say that navas should have a place in the lineup then silva could also play in that role as he has for Valencia. Surely he would link up well with villa but I agree that fabregas is probably the better option. Spain are going to need to take a more positive approach to assure that they not only qualify but win there group because brazil look to being playing well and I’m sure they’d rather take their chances against anybody else and hope brazil can be upset by another. But Jeremy, Silva likes to cut inside more; it is true that as a left-footer he sometimes finds himself lined-upin an advanced left-mid position for Valencia but he is given the freedom to switch positions with Mata in central areas, which is an area he prefers In fact, more often than not Mata (also left-footed) is stationed on the left with Silva playing behind Villa. Maybe if Spain had more offensive full-backs (particularly along the right where Sergio Ramos is a reconverted centre-back), the option of using Iniesta and Silva as inverted wide-men would be more viable. I’m curious as to how you determine the positioning of the players for the diagram? Originally I thought it was from the FIFA/UEFA press kits for all continental/international games, but I noticed you deviated quite a bit from the Spain v Switz press kit, which showed Spain playing a sort of 433/Flat 4141 with Xabi and Xavi essentially playing next to eachother rather than one behind the other…Do you just watch the games and try to make an approximation? Or is there something else you use? Check out the ‘diagrams’ section for info regarding diagrams. It is obviously not precise to the last centimetre, but the point is – the diagram is constructed FUNCTIONALLY. Example: why Xabi Alonso is placed a little bit higher than Busquets? Do you get it now? hello, i’ve been reading your website for quite some time, but i have never posted. the analysis displayed has consistently been quality. however, i felt compelled to especially commend the quality of this article. it’s amazing how much depth is provided here compared to those who get paid for their commentary. much, much appreciated, zonalmarking! In fairness to those who get paid for their commentary, they definately commented on the lack of width and how Navas changed that. And they also mentioned Xavi playing higher up the pitch then he does for Barca. The question of Fabregas was also raised. The major difference is that they have limited time to discuss, and they are appealing to a much wider audience who do not necessarily understand the deeper tactics discussed here. Or care for that matter. And it is always easier to write your thoughts and opinions than to explain it on live television. i was referring more to written commentary, i.e. sports journalism. i understand the limited amount of time and (here in the U.S.) the limited knowledge of the audience they are appealing to on television. i also realize that i’m generalizing, but as a whole the match reviews on this website–with clear and concise explanations always given–are on another level (again, for the most part). i’m merely trying to express my gratitude! If they are smart, they’ll try hire him soon. Can somebody please, make me a Cesc latte…? 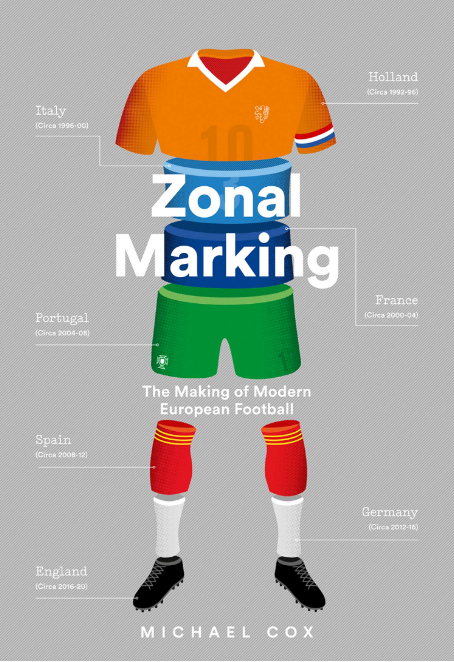 Perhaps the best article I have read so far on the World Cup, great work. One wonders why although both playing as inverted wingers (correct phrase? ), Iniesta and Silva did not take up positions right on the touchlines. By getting there into the space in front of Ramos and Capdevilla and may have not only had more space to cross but to also draw the defenders out wide leaving space for Xavi to attempt through-balls to Villa. However as the images above show only the Spanish full-backs got into these spaces but didn’t make an impact, partly due to the Swiss defence clearing everything they put into the box. That’s something that’s been bothering me about Spain all along. Neither Silva or Iniesta are really inverted ‘wingers’ (in the sense of forwards), they are more like playmakers who instinctively seek to cut into central areas at a much earlier stage. Such movement cannot really be compared to the inverted wing-play of Messi, Rooney (on occassion) or even Henry. Silva usually plays for Valencia on the right but yes Iniesta has been converted to play on the left. Perhaps Del Bosque should make them play wider or if Iniesta is not fit put Pedro on the left. Or switch Silva to the left and put Navas on the right. I always thought ‘inverted winger’ is the term to call right(-footed) winger playing on left wing and vice versa. Like Robben on the right. Jesus Navas is playing very wide and relies on his speed, which I failed to see in the match. Btw, I felt that all the passing to him by his teammates late in the game was a bit artificial and forced by coach or maybe the players felt that was their last resort. That’s why ZM found him ’shining’. Good point regarding stretchening the game for CMs to have the space in the middle. Hey ZM, some American outlets are claiming that the Swiss followed USA’s formula from the confederation’s cup. As an American who loves (proper) football, I find it hard to believe that we should actually be credited with discovering anything to do with the game but is there any truth in this claim or did the Swiss simply follow what all inferior (and I don’t mean that as an insult) teams do when confronted with juggernauts: pack it in tight? I guess what I’m asking is this: was the Swiss display something novel or was it a brilliant but text-book exhibit of defending? Textbook exhibit of defending Spain, evidently. Pack in the middle, concede the wings, dare them to beat you with crosses in to the box, and they seem to lack ideas of what to do. That part is certainly textbook defending of this type, but both the Americans and the Swiss added superior size in the box that stymied a lot of those crosses. I also think the Swiss and the Americans didn’t just bunker with a lone ranger way up top, they both realized they had to create a credible scoring threat to keep the Spanish defenders from diving too hard into the attack. The US got two goals and the Swiss almost did. It wouldn’t surprise me if the Swiss noticed that the last team to beat Spain was also a big, athletic team with at least some offensive firepower. Of course they knew this. The Swiss may even have added the wrinkle of closing down the Spaniards even if it took them out of their shape. I seem to recall the US playing more of a stay-in-front-of-your-man defense as opposed to closing their man down. Both Spanish fullbacks, Capdevila and Ramos, were beaten resulting in the two goals. One by power, and the other by pace. also the Spanish players are relatively short so they find it hard to get quality headers on goal. True, although Pique playing as an auxiliary centre forward and Torres coming off the bench should have counteracted that; of course, it didn’t. But Torres, though a more physical presence in the box than is Villa, is not exactly a battering-ram target-man; that’s Llorente’s job. I didn’t see the US-Spain game so can’t comment on that, but I don’t think Spain did anything particularly exciting, to be honest. Quite often, their defence was dragged out of shape but there was a lack of players who looked to go directly towards goal. They defended very narrow, which was the key as Spain were reluctant to go aruond them. There were significant similarities as well as significant differences between the American and Swiss approaches. Unlike Switzerland, the US back four tried hard to keep its shape throughout the match. Also, the US was very much to counterattack into the space behind Ramos and Capdevila. I didn’t see Switzerland doing as much of that; the Swiss instead used Nkufo’s size advantage over the Spanish center backs and had him hold up the ball for Derdiyok. But both teams defended narrow and ceded a lot of space on the flanks, and against both opponents Spain failed to take advantage, instead trying to force the ball through the center. I’m actually not sure why Ramos and Capdevila stayed back against Switzerland – in the US match they could have been worried about the pace of Donovan and Dempsey on the wings, but Switzerland even kept Barnetta and Fernandes in relatively central positions. Ramos was going forward in the first half, but he injured himself in the ribs at some point and was non-existent from that point on. I’ve seen this exact same match for the last 5 years (20 years exaggerating) following my team, Barcelona. - Try to exploit the runs of the full(wing)-backs using long balls to the strikers who drop to one side. I’m really happy that Spain lost the match because now all the Spaniards, that claim against the “boring” Barcelona style, can feel what I’ve been suffering all my life. Curious to see if Del Bosque drops Busquets and moves Iniesta into the centre of the park, perhaps making room for Jesus Navas in the starting 11. In my humble opinion, I would have played David Silva on the left as having both he and (especially)Iniesta cut inside made the field even more narrow. Going back to Jesus Navas. I think he was bright and I think the decision to bring him on was correct. But, I really do think his deliveries left a lot to be desired. Navas performed well after his introduction, but he was put directly into the open space the Swiss were willing to concede. As a long-term strategy, leaving him isolated out wide to ship pointless crosses into the box won’t help Spain. Spain needs width, but also a more practical way to link up wingers and forwards to support attacks from wide areas. Ramos and Capdevilla have to provide more threatening runs against teams who defend so narrowly. I didn’t really see the use of Alonso in this game. Him, Xavi and Iniesta like to play deep, Busquets stays back, and Silva had a poor game. That’s not the way to support a one man attack… Indeed, Navas or Fabregas would have been more threatening. Or maybe play Villa and Torres up front. In a way, Spain would probably have played better if Iniesta hadn’t been fit. I don’t think Spain necessarily failed because Xavi was too high up the pitch. He plays quite high for Barcelona as well, he picks the ball up deeper but gets forward and stays there quite a lot. I’m guessing that’s what Del Bosque wanted to imitate. Difference in my opinion was the lack of support for Xavi to be able to operate further up the pitch. The reason that happened is the one given by most pundits and ZM, a real lack of width. Spain’s biggest failing was not stretching Switzerland enough, thereby not giving Xavi the time and space to operate further up the field, hence him dropping back so often. Xavi, like so many playmakers of his type (Pirlo, Scholes) need to be “protected” or screened in a tactical sense. Players around them need to provide them with support. Whether that is positioning, off the ball movement, etc. Otherwise Xavi has to deal with man markers, poor positioning, creating space for players that don’t make runs, all things detrimental to Xavi’s game. I don’t get why Del Bosque didn’t see this during the match, especially when he had the right answers on the bench. IMHO, this has happened because Ramos did not rise when Silva moves to the centre of the pitch, and THAT was what they wanted to get really… In Barcelona Xavi plays internal midfielder, there’s a playmaker on his back on protection, two externals players and two fullbacks wich can pass and a companion to his side…fully 433… For me is very different to use Xavi like Snejider or Kakà…It’s true, Cris, but position is very important in this debate…Ah! it’s my opinion, obvious! And sorry for my bad english! The problem was an overcrowded midfield without stretching the 4 defenders. Silva had a poor game, but the arrival of Torres began to strecth the defenders and give them something different to think about – had Spain started with 2 strikers Silva may have had more options. This is not to say Navas didn’t impress but Switzerland looked much more panicked when faced with 2 strikers. In this situation there is no need to play Alonso, if Busquets sits deep Iniesta, Xavi, Silva/Navas, Torres & Villa + 1 full back at a time are able press forward. Although this potentially would have left Spain exposed at the back they would still have had 4 players covering which would have been more than enough to repel Switzerland’s largely ineffective counter attacking. Spain would do well to start like this against Chile who are likely to play a much more open game, however to set up like this against Honduras may be similarly frustrating. Multidimensional players are at the heart of the contemporary game. But today Spain fielded multidimensional players who didn’t maintain enough positional awareness with respect to each other’s movement. In turn, the sum was less than addition of it’s parts which is exactly the opposite of what deploying multidimensional players is supposed to achieve. Rather than creating synergy, it created redundancy and underutilized space. Silva was egregious in this regard as he was constantly cutting across the pitch and parking himself in the same space Iniesta was playing in on the left. This worsened the similarity in skill sets Iniesta and Silva share. It was almost as if Spain were playing with fewer than 11 players because of the redundancy of skill sets and styles of play in compressed space. This clustering in the center-left of the pitch made it even harder for Villa to find space, particularly because Villa himself often drifts left. All of the attacking players attempted to play through the middle. Similar issues occurred with Alonso and Busquests. Against a defensively oriented Swiss side that is dropping strikers back to defend and maintaining their shape, are two holding players needed? Busquets and Alonso also shared space and left their functions somewhat redundant. Neither Busquets nor Alonso was making runs and moving forward like we saw Khedira do so effectively for Germany. To have two players in relatively deep holding positions with similar skill sets while the right flank was largely vacated and unused was a very poor trade off to make. For much of Brazil’s match, they too were under-utilizing space on the right flank. Maicon provided a moment of individual brilliance to correct that. Neither Ramos nor Capedevilla were able to provide similar creativity on their respective flanks (though for different reasons). Spain’s fullbacks did not have strong matches. It was surprising to not see Navas brought on earlier. Though his service could have been improved, his positioning and pace changed the dynamic of the match for Spain particularly when being marked by Ziegler who himself doesn’t have great pace. Make the pitch as large as possible when in possession. That’s a central aspect to the total football tradition Spain’s Tiki-Taka has grown out of. Today, Spain tactically did almost the exact opposite by playing so narrowly through the middle. And in turn they made it easier for Switzerland to compress space and defend. I am one of Sergio Busquets few fans, but in games like this, where Spain will be doing almost all the attacking, Xabi Alonso has enough discipline and tackling ability to be the sole deep midfielder, covering both holding and creative roles. Basically in games against defensive opponents, take out Sergio for Cesc or a striker. Also, Mata and Pedro might bring some more direct goal threats than Iniesta. If there is need for an out and out winger in this side it is more likely on the left than the right. Capdevilla is far less threatening than Sergio Ramos. I’d sooner see Mata than Navas. Surprising not to see a tactical decent 433 otherwise, natural and hystorical formation of Spain…This anxiety to try tactical solutions that are not symmetric was the theme of the great teams of this World Cup…desire for new football or only confusion? Not much to add to all great comments here, I just want to congratulate you Darren for this great website, I have been looking at your in depth analysis since we lost today against the Swiss (I’m from Spain), and man you have not disappointed me at all, thanks! It’s ridiculous what one can find on Google. I totally agree with Downo, Spain could play the entire Barcelona midfield (Xavi-Iniesta-Busquets) in a 4-3-3, have two great wingers (Navas on the rigth and Mata/Pedro on the left) and a great striker (Villa or Torres). But if the system to be used is the 4-2-3-1, I would put Iniesta as a playmaker, drop back Xavi to play right in front of Xabi Alonso or Busquets, and have Navas and Pedro or Mata take the wings, I think the duo Iniesta-Villa up front would work out perfectly well for Spain. - Putting Alonso there alone is suicide. He’s something in between Busquets and Xavi but he can’t be the only creator or the only destroyer. - Also Arbeloa on the left is more like a third CB than a fullback because he doesn’t have enough flai to be an attackin threat playing on the opposite side. - Torres as a winger is useless. - Silva can’t play in the left side as a classic winger. He doesn’t have a pace or the ability necessary for a winger. He always has played better on the right cutting inside or as a argentinian enganche or a italian trequartista. - Reina has had a better season than Casillas (and Valdes). That’s a fact. Also where do you get all these pictures that you use? Excellent article. Articulated well the point about Ramos not moving into space high up which I new, but could not pinpoint. This the lineup I would like to see for the Honduras game.I’d prefer Silva out left over Iniesta, as it would be a good crosser out on the left with at least three targets. He could cut in, but it would be a 20% option for Silva, rather than a 60%option for Iniesta. That leaves either Mata or Pedro on the inside right. Mata would be good as he has played a lot of that position with Villa at Valencia, though maybe Pedro would be the best option. Ramos go high up the pitch for this to work, which would allow Xavi to lie deeper. Cesc would really occupy the trequartista space well, and add physical presence in the front third. Right, and you saw Xavi bawling at Ramos after the full-back had blasted the shot wide. I believe the root cause of Spain’s failure to win this game was the mental pressure they faced. They looked cramped up. The pressure may have got to them. Never have they gone into a tournament with such high expectations placed on them. I understand the importance of Iniesta but it’s always a mistake and usually one you pay for to play a player that is not fit, specially given that in a game like this width and speed would have been crucial. Also, why exactly for around a year Del Bosque had a clear plan B with Navas-Llorente-Mata but only brought Navas on, well, I really don’t know. I agree that Navas/Llorente would have been more effective substitutions than Navas/Pedro. With an unfamiliar ball*, tossing cross after cross into the cooking-pot, as the Spanish say, is unlikely to be effective against a defence packed with a huddle of big bodies around the penalty spot unless you’ve got a BSL (big strong lad – a technical term that’s oddly missing from ZM’s glossary) to go up for them. Torres is often good in the air, yes, but a classic BSL he isn’t. As it was, I was reminded all too often of the last half hour of the Chelsea-Barcelona CL semi-final last year, with Navas in the Alves “cross and cross your fingers” role. The most interesting thing about this match for me was the deeper tactical questions that it raises. Hiddink, Mourinho and now Hitzfeld have demonstrated that with a well-disciplined team of players whose individual skills are either sacrificed (Eto’o at Inter, for example) or not much to write home about (Switzerland), there is little that even the most creative attacking force can do. Results will then hinge purely on chance – a bit of woodwork here or a penalty there determining the difference between winning and losing, rather than the scoreline reflecting what has actually happened on the pitch. This could, of course, either be a good thing, with attackers being forced to be even more creative, or a bad one, with supporters becoming bored and frustrated as more and more teams adopt this often effective but ultimately unambitious approach when facing more skilful opposition. Time will tell. In the meantime, it’ll be interesting to see what Bielsa – who I can’t see playing “you have the ball, don’t mind us” football – comes up with to deal with the Spanish threat. I would very much appreciate if we could leave this pathetic Jabulani conspiracy theory out of serious discussion on football. “Germany” had not a “full season” with the Jabulani nor had the national team any advantage above anybody else. Jabulani was out for sale since last autumn and any associations was invited to buy it for practicing. Truth is, that German league (unlike notably the English Premier League) until this season left the choose which ball to be played to the home clubs – which means that the six adidas-supplied Bundesliga clubs introduced Jabulani for some parts of the season. For someone like Özil or Khedira coming from clubs supplied by other companies, well, they played with Jabulani in some away games and, then, in the preparation camp for the World Cup. Yeah, have to speak up here as well. I do not know which media outlet is feeding this Jabulani story to you but it just isn’t exactly true. I do not know how the other leagues handle it exactly, but for the Premier League it appears that the league has a sponsor that makes all teams play with exactly the same ball. Please enlighten me if I am incorrect here. Now for the Bundesliga, as was pointed out, each team has their own contracts with suppliers. Some teams are with Adidas, some with Nike etc. Adidas introduced the Jabulani at the end of 2009, and the teams on contract with Adidas started using it. But you have to know that each Bundesliga team usually practices with the ball that they will use in the next fixture. So if the Adidas team has an away game next, they will not use Jabulani. In contrast, a Nike team with an upcoming away game against Adidas team, would use Jabulani for practicing that week. So all players must have had a few weeks with it. Most importantly though, I do not think that made them better with the Jabulani, just less prone to become to used to one ball alone, and instead prepare them for a variety of balls. If the characteristics are really so different as some top players claim, having practiced with a variety of balls is the real advantage there. Now Löw clearly found a weakness in Australia’s game and exploited it beautifully. It happened to be that playing long, flat passes worked extremely well against their high defensive line. This does appear to compliment Jabulani’s characteristics much better than what many other teams tried to do with it (high long balls/crosses, long range shooting). So if anything the Jabulani didn’t make Germany better, it rather hindered teams that have tactics build around these only (exploiting size). Having said all that, I think it would be great if the best players in the world would all free up some time to help develop the ball for the next big tournament. The ball should empower the best players, not hinder them. In this case, I am not sure if it is just lack of practice with the ball or flaw in ball characteristics. Here is hope the players struggling right now will improve with it as the tournament progresses. Nevertheless, uncovering the reality about the balls in different leagues and how it might effect respective national teams would make for a great high profile article and be much better than this flawed stereotyping we are seeing. Great analysis, I love this site. Do you think Australia tried similar tactics against Germany as those Switzerland employed against Spain? While both Australia as well as Switzerland lined up in a 4-4-2 initially their game plans weren’t similar at all. The Socceroos essentially tried to blitz Germany, pressing extremely high up the pitch, isolating the defense from midfield and forcing errors on the ball of the central defenders in particular. They probably expected Tasci alongside Mertesacker and with that error prone pair it just might have worked. With the much more consistent Friedrich it didn’t. So with their game plan failing they were a man down in midfield and without parking the bus their defense is way too slow to deal with the quick and skillful attackers coming at them. With the spaces open because of the high pressing and four man midfield of the Australians, the Germans, pardon the pun, taught them a lesson or two about blitzing. After the early 2:0 it was game over of course. Switzerland on the other hand were looking for a much more drawn out battle from the start. They were intensely pressing as well, but not on Spain’s defensive players. Rather than pushing up and closing down the central defenders and goalkeeper they almost completely defended in their own half and went for the attacking players. Basically they were looking to restrict Spain to their sideway passing outside of the attacking third and prevent the players in actually dangerous areas from getting any good positions or touches on the ball. The Spaniards will probably have a hugely impressive pass completion quote, but Hitzfeld’s players effectively minimized the actual threat they posed. The two matchups may looks somewhat similar on paper but the strategies employed by Verbeek and Hitzfeld couldn’t be any more different. There’s a huge different. If you’re playing as the central playmaking in a 4-2-3-1 and you constantly move backwards to join the two central midfielders, you’ve simply giving your side less options. Well yes exactly, that was part of the problem. I’ve always argued about the position where Xavi is playing for the national team. Like we all know, even the universe knows, that Xavi plays in a much deeper position. I am not sure what are Del Bosque’s thoughts but Xavi is not a player that plays so close to the final third. He needs to see the whole pitch to make those killer passes and he needs people to move in front of him. I think Cesc is a better option for this position, he usually plays this high at Arsenal. Absolutely great analysis. Just on spot! Great depth too. This is nothing short of amazing! I assume this was 1 out of 10 games Swiss came out as the winner …. the other 9 Spain would have won 3:1 or something like this …. that’s soccer, god I love it …. I have no doubt that with this quality Spain will beat Chile and Honduras and will go through to the next round…. …the way the Swiss shifted their “defense formation” and their dicipline was IMO one of the reasons why Spain was caught so often with so many players in a very narrow space….when they tried to widen the game the Swiss players were able to isolate the wingers with their whole “defense formation” and there was nearly no space for a deadly pass …. I guess I have to watch it again to get a better understanding how they did it, but IMO the snapshots provided by ZM this time doesn’t disclose the full story and seems for me a little bit “missleading” (nevertheless very appreaciated )…. Chile might have some joy dragging the Swiss defence out of position. In fairness to Xavi, by the way, there probably wasn’t much space between the lines. Or at least, according to Ottmar Hitzfeld post-match, there wasn’t intended to be. I didn’t think Navas was that impressive: yes, he spread the play out, but he always slowed the play down when he received the ball and looked for the cross into the box, failing every time as the Swiss were happy to head it away like clockwork. He never beat his man, and his crossing just played into Swiss hands. I counted at least 5-6 times where Navas received the ball, slowed to walking pace, took a few touches, and then hit a cross that was either blocked on the way in or was headed away. Actually, Torres looked better cutting in from the right, but received little support. While his crosses proved fruitless, it is utterly false to say Navas “never beat his man”. In fact, he beat his man nearly every single time he had the ball. Even though I am sure someone has already said this, I want to reiterate this point. If you want to play a 4-2-3-1, it has to be of the type Benitez did at Liverpool a couple of seasons ago when they finished second in the league. They had a destroyer (Mascherano), a passer (Alonso) and a creator/attacking playmaker(Gerrard who can also score). The analogy in this current spain side would be destroyer (Busquets), passer (Alonso) and Creator (Xavi). But Xavi is not that great at attacking playmaking in my opinion. He prefers to sit deep and rush forward to create chances. In such a situation, playing Iniesta, Fabregas (done it for Arsenal) or even Silva, as he has done for Valencia could be a better option. I dont understand why Xavi is undroppable – Fabregas can do all he does and more as can Iniesta (Alonso is a different kind of playamaker – deep lying Pirlo style, while XAVI is neither too deep lying or attacking – one of a kind and his kind does not work with a 4-2-3-1). You can have silva/mata/pedro/navas flanking the attacking playmaker. Also, when in such a system, the lone striker has to be one that can draw defenders away thereby creating space for the other attackers and Torres, I believe, is better equipped physically and skill wise to play lone target man than David villa. Villa is better as a second striker rather leading the line on his own. I would go for a 4-1-4-1 (to begin with); one from Alonso/Busquets holding, Xavi and Cesc just ahead of them, Iniesta and Silva wide, Villa up front. But then introduce one from Navas/Pedro for Xavi if things get congested and the score is still level, which might help discongest things. Spain then go 4-2-3-1: Cesc would play more box-to-box alongside the holder, and Iniesta would be the 3/4 role; Silva can go out to the left flank along this band, Navas/Pedro. occypying the other. Second substitution; Spain go 4-3-3 (4-1-2-3) Torres for Silva – Torres plays centrally, Villa moves to outside-left, and Navas/Pedro pushing up to outside-right. This formula was used against Belgium in the qualifiers and worked. Third and last role of the dice: Bring on Llorente (for Villa) = 4-2-4/lopsided-4-3-3, with Iniesta moving to wide-left mid. I’d also like to see the 4-1-4-1 that worked so well two years ago in the Euros. I can’t help but wonder if del Bosque is not confident enough in Xabi Alonso or Busquests to play that role–neither plays the destroyer role as well as Marcos Senna, Xabi Alonso hardly at all. Xabi Alonso held all alone vs. the USA last year, I wonder if that has factored into his thinking. Xavi’s first position at Barcelona from youth level all the way up to 2002 was as the holding-player who deputised for Guardiola; as we all know, that lone deep-lying playmaker role would soon become obsolete. Then Rijkaard’s arrival in 2003 saw a double pivot take hold in the first season (Xavi alongside either Cocu or Edgar Davids). Thereafter, Rijkaard would switch to a 4-3-3 and have Xavi playing slightly wider and with more freedom (though not so high as to be between the lines) as an interior, a number ‘8′. Xavi can work as a second holder in a 4-2-3-1, if needs be. It all depends on what level of freedom you give him. With a dedicated holding player he can practically move up to occupy his right-of-centre position. He will become a calming influence on the deeper midifelder areas (especially if Busquets is the other holder) but is this what Spain really need when they are seeking to win a game, or when they are chasing a goal? …this may be the price of trying to accomodate Cesc. Hi ZM, would like to hear your views on Puyol for this match. Puyol seemed to be closing down too high up the pitch with no one covering him, and twice this allowed Switz into Spain’s box (with the first instance leading to the fateful goal by Fernandes and the second one cleared by Puyol after Switz was denied by the post). Also, the boot that caught Pique, would that have not warrented a foul at least? Thanks, and great site btw. One important thing I don’t really see mentioned here was the lack of late runs into the box from any Spanish player. When the ball went wide, the Swiss compressed flat, which they were comfortable doing, because every (not v. tall) attacker stood in a line, waiting for that drive across the six-yard line that they could tap in. If you look at where Jesus Navas was planting his crosses, and Silva a few times earlier in the game, many crosses bounced in space near the edge of the box- because there was an ocean of space for anyone intelligent enough to delay their run a little. The Spain team split cleanly into those who were attacking, who all surged to the six-yard line, and those who were defending, who stayed well outside the box. I think that if they’d used their subs differently, they’d have found their goal from a Navas cutback onto a well-timed run from Fabregas. Hell, if they’d brought on Frank Lampard they’d have found their goal, and their midfielders, who are 10 times better than Lampard, should have had the intelligence to see where the space was. I think this was one important point. And, del Bosque said it after the game, the lack of precision. about the possible red card for Casillas (thank God the ref let that go). As we have seen at the south Africa game, a foul commited by the goalie in the box leads to a penalty and a red card. I think this special combination (goal keeper, in the box) should be an exceptional case. Jens Lehmann was out side the box and deserved his red card in the Champions league final. and, of course, a red card for a defender is okay. but the goalie? How should he do his work with this possible punishment. It could have been a penalty kick, but I can see why the referee may not have sent off Casillas – there were already two or three defenders behind him, as opposed to Khune committing the foul almost on the goal line. But I have to believe Switzerland would have gotten the goal on that play. The referee could have blown the whistle for a penalty at two different points: a foul by Casillas, and a handball by Pique. I think the only reason he didn’t blow the whistle was that Switzerland kept playing and scored. Had the ball not hit the back of the net, it likely would have been a penalty kick. But he is right. Okay Xabi Alonso didn’t play poor, but someone has to be replaced (if del Bosque wants Fabregas). Real Madrid: Higuain, Ronaldo, Kaka, van der Vaart. Not Spanish, and with Mourinho Real won’t become a more Spanish Club. I don’t care about that. ZM, the substitutions for Spain were perfect I agree. But I thought, as the time went, Navas was always keeping the ball a little too long. If Torres had shown little more close control, he would have got a brilliant opportunity to score. What disappointed me really was the fact that there were not even excellent shots on goal which threatened the GK – for eg. like in the Arg – Nig game – the only one came from Alonso, hitting the post. I think ZM has forgotten one critical thing. The many players not in form due to injury. Don’t forget Torres, Xavi, Iniesta, Fabregas all come from in some cases long injuries. The reason Delbosque plays with one striker is Torres being notin form. Maybe with all the crosses he should have brought Lorente instead of Pedro. But don’t forget Swiss had 2 chances, one offside goal and another one on the post. Spain were very unlucky not to score and I think this defeat is actually good for them. Now the are no longer the favourites and they will not underestimate anyone, going 100% for 90 minutes. i am sure they will beat both Chili and Honduras. Certainly haven’t forgotten that, it was a major part of the preview. ok, than I retract my statements. ZM – why was the goal offside ? Help me understand – apparently an earlier goal in the WC was also disallowed unders similar circumstances. Vela’s goal against South Africa was offside because he was behind the GK when he came out to punch it or something like that. So apparently when Casillas came out with that ridiculous tackle on Derdiyok and missed the ball completely and so he was ahead of play and then Fernandes behind him scored in which he received a pass from Derdiyok I’m guessing. Well that’s what I think he means. Even I don’t understand what’s happening so. @OB – thats the goal I mean – the only swiss goal was apparently offside because as the pass was made, the receiver was behind the GK (who had come out) with only one defended standing on the line. I want to understand whether this is offside. Vela’s goal against SA in the opening game was disallowed for the same reason. I think a lot of people may have already said what I think. That Alonso and Busquets are too similar. While Alonso is more creative/attacking, Busquets is the more complete defensive destroyer. Fabregas is the other extreme in that he’s far more attacking and has that match-winning X Factor that I’m not sure Alonso has. Alonso to be introduced either for the slightly more physical games, or when protecting a lead. but aren’t cesc and xavi extremely similar also? i think spain’s problems were very similar to those experienced by france against uruguay, because both xavi and gourcuff showed a complete lack of desire to get close to/beyond villa and anelka, the lone strikers. would fabregas do better? certainly he’d do better than xavi, but it’s still not his natural game. i’d play iniesta as the furthest advanced of the three, with alonso and xavi behind him. iniesta completely lacks the discipline to provide the width they missed against switzerland, and will need against honduras. either mata or pedro would hold the wide position better, meaning more space for iniesta to run in, more space for xavi to pass into, and more room for silva to cut inside from the right flank. silva was highly criticised for his display, but he wasn’t helped by inista playing so narrow on the opposite flank. also, there’s been lots of praise for navas, but he was always going to get lots of the ball and run at people. what did he do with it though? i thought his crossing was completely aimless, and he very rarely got past ziegler. i’d stick with silva on the right, and look for more natural width down the left. I think Alonso has a natural inclination NOT to go forward, where as Cesc has that ego-centric drive to get into goal-scoring positions. I’m not sure of the stats but he scored vastly more goals than Alonso, Xavi, Iniesta and obviously Busquets last season. I agree that they are similar type players but Fabregas is subtly more attacking and greedier. I know that you don’t like Iniesta wide but he excelled in that position for Barcelona. There are to me a lot of similarities in fact with the Barca team, with the high defensive line of Puyol and Pique (who has license to advance) and then with Pedro/Iniesta wide left, Xavi/Busquets+1 in the middle, Silva I guess in a Messi type role and 1 up top more as a false9/goalscorer than targetman. Have to say though that the natural width of Navas was a big improvement on Silva. Both surely have an equal shout now so Del Bosque will go for personal preference and then use the sub as an impact player if necessary. I think he’ll stick with Silva and probably the same team. Agree on all of your points except that Iniesta doesn’t provide width to the team, he always goes inside the middle and provide a further man in the center of the pitch, thus helping Xavi run the show. I’d rather have a Pedro or even Navas to stretch the field more. This is actually a problem that i’m seeing in Spain, all of the attacking force tend to cluster in the center and the width arent fully provided by the wingbacks. I agree 100% on Cesc Fabregas being more attacking and greedier, he’s not afraid of shooting from outside the box and try some luck. Xavi just loves to make the plays and hit those passes, he is far less interested in scoring. This game reminded me of the two games that Fulham and Shakhtar Donetsk played in the Europa league. One really creative side against one well drilled defensive side. In the Fulham game, they too conceded the wings and forced Shakhtar to be creative. The problem was, and this was the same for Spain, that there were no really physical players up front for Shakhtar. This led to a bizarre situation, again much like the game yesterday, where Shakhtar were refusing to put crosses in the box as Brede Hangeland (or in the case of the swiss Senderos/von Bergen/Grichting) kept dealing easily with any aerial threat. Question for ZM: Are you convinced by Spains full backs? As has been repeated over and over, you need good fullbacks to win the WC. Are Capdevilla and Ramos up to the job? Lee Dixon made a good case against Capdevilla last night proving him culpable for the goal and the close effort towards the end of the game that hit the post.. In my opinion, Navas indeed provided width – but not the one Spain are used to. Spain use width to open defences and so try a pass through; Navas kept trying to reach the backline and place a cross, which is how it works in Sevilla, but not in Spain. Torres and Villa are not classic headers, and their football is not about finding a place inside the box while waiting for a pin-point cross to send it to the back of the net. 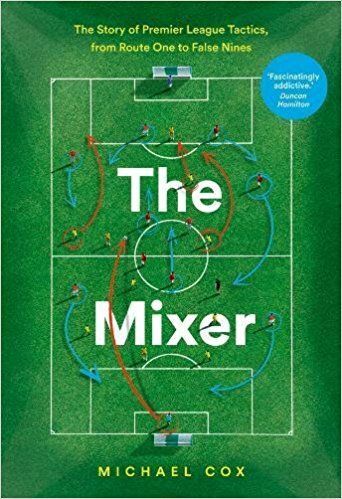 Neither the one from those who played behind them – neither Iniesta, nor Xavi or Silva are Lampard-esque midfielders who score many goals “the striker way”. In my opinion, Spain were untrue to themselves yesterday when Navas came in, and so their problems were two; fighting against a bad result and the clock – while also struggling to find their usual way to goal. I think Del Bosque is “killing” a bit what Aragonés did; football the Spanish way was not about crossing and crossing again, but about combination through the middle using the wings as a way to provoke the opposition’s mistake. He should have brought in Llorente instead of Pedro. Then Navas’ crosses into the box would have worked. I don’t agree with the BS about the correct “Spanish” way of playing being the possession style of Barcelona. Currently, Barcelona is Spain’s strongest club and they provide most of the players. So of course they are going to play like Barcelona. A few years ago, Valencia were the strongest team and Spain played like Valencia. Now if Athletic Bilbao were to win the league with big, strong players like Llorente, Martinez, Mikel San Jose et al., Spain is going to play like Athletic Bilbao too. It wouldn’t be any less “Spanish”. And there is nothing wrong with having a Plan “B”. With all the different types of players Spain has on the bench, Spain can afford to have different styles. I don’t think you need amazing fullbacks necessarily but you do need effective width to beat a team thats going to defend in a narrow fashion and you do need to play more direct (longer, quicker passes) than Spain and Barcelona did in the games where they came undone – or at least have that variety. The unnecessary drooling over Silva’s playground goal against Poland shows this: no one will defend like that in World Cup. Having attacking midfielders/wide forwards meandering inside time and time again to be double marked makes creates problems for the attackers. I also think Iniesta is struggling for form, but still made a bigger impact that the somewhat anonymous Silva. Also I think Spain will need a more physical presence in the box, which calls for Torres or Llorente, if Torres is still too rusty. These aren’t bad subs at all – and its also just what Guardiola wanted with Zlatan Ibrahimovic – a different, bigger option that makes crosses a viable option. My opinion would be to play Torres until he’s not rusty because he’s that good and move Villa to Iniesta’s or Silva’s position (if a bit further up) – if the players in those positions are going to go towards goal rather than the sidelines/byline and get lots of the ball, it makes sense to me for it to be Villa. Also, in my opinion, Reina should replace Casillas. I think Reina is just better than Casillas but I also think he is in better form. Torres probably wasn’t fit but its curious no one talks about him beign key to spain’s chances. If he’s fully fit,he provides them a totally different and more direct option.If not,teams will have a better chance of doing an INTER against them. Like he did against Iceland (in a friendly), the Italy (at the Euros), the US (at the Confeds Cup) and Switzerland yesterday? Those are 4 of Spain’s 5 draws or defeats in their last 48 matches. Torres was fit in 3 of those. And he did nothing. It is better for Spain when Fabregas is on the field than Torres. We saw this when Fabregas subbed in in the Italy game. They looked much more like scoring with him on. And if a team does decide to do an INTER against them, Llorente is a better option. He consistently comes up top in La Liga’s most goals scored from headers list. It was Spain’s first game in the tournament, and in my opinion they played a controlled game. If you look at the chances Spain had, they could with a bit more luck made it 2-0, and the Swiss goal was just a lucky accidental goal. Their defensive formation with 2 holding DM are working good, just as it’s are working the Brazil – which also failed to score most of the game. They just have to get their back full backs up and run some ravaging runs on the flanks, and they will be okay. This current starting formation will suit Spain excellent in they latter part of the tournament, and they will still score plenty of goals to win the games. And Mourinho must do something with Ramos. the sooner Mourinho converts Ramos back into a centre-back at Madrid (albeit one with positional nous), the better. In my opinion Spain failed to capitalize great deal of ball possession because of TOO much creativity in their midfield. Xavi, Xabi Alonso, Iniesta… who is the primary playmaker here? So much flair, but no ideas in the final third! One of Spain’s big strengths is running off the ball and quick one twos but in this game they were mostly static and over-dribbling. Spain are used to playing against packed defenses so they should know better by now. I thought Inler was excellent in breaking up Spanish play in the center. He was part of the reason that Xavi kept drifting deeper to find space. Switzerland played well enough to neutralize Spain and looked dangerous when going forward. What more do you want ? Good on you Switzerland. It could also be because Ramos didn’t want to get caught out like he did at the Confederations Cup but that’s unlikely. Although it might be the reason, Capdevila (La Liga’s top scoring defender) also didn’t go forward; he was also caught out against the US. Not a tactitcal question, but… – according to fifa.com statistics Diego Benaglio run over 7.5 km during game against Spain. Does anyone here think it’s possible? He does well as a sweeping keeper, but still, it’s a lot. For a comparison – North Korean goalie run only 3 kilometers. I thought Ramos should have been much further up the pitch. Gelson Fernandes was playing really narrow and Ramos had the freedom of the right hand side, he was uncharacteristically unwilling to take advantage of this. A lot of people are saying that Navas solved this problem by coming on and playing as an out and out winger unlike Silva. I disagree with this for a couple of reasons. 1) Silva’s tendancy to move inside was dragging the left back out of position, it was creating space for Ramos. Far more space than Navas got when he came on. 2) Silva is often the 2nd man in the box closest to Villa for Spain. With him being replaced by Navas they needed to find another player to do this, hence Torres and Navas had to come on as a pair. The two up top + two in central midfield formation sent Xavi even deeper than he was in the first half. They had no one ‘between the lines’ at all for the last 15 minutes and looked extremely disjointed. The solution, as hinted at in the original article, is not to put Navas and Torres in (and one does necessitate the other) but to drop Xavi back one role and put a central player in who is more willing to link directly with the striker. The Fabregator is obviously perfect for this but Inesta can do it from a central position. Ramos must also be permitted and encouraged to play his natural role and provide threatening width. It seems harsh to drop Alonso because he was the outstanding player, but in this Spain squad outstanding players are going to spend some time on the bench. I think Ramos should still have over-lapped as a decoy to at least make the left back think twice about getting tight on Navas. Instead everytime the ball went to Navas he would just stand and watch him. They were not combining in the latter parts of the game. Anyway, this should wake Spain up. No one is going to just roll over for them, no matter how pretty their football is. I think a lot of attacking full back struggle to link effectively with an out and out winger. They are used to over lapping, something you can’t do when the payer in front of you is standing on the line. Instead they end up offering a lay off ball in which they either just recycle possession or deliver a less effective cross from a deeper position. One of the few who I have seen who is effective at it is England’s Glen Johnson, owing to his two footedness and willingness to run across the 18 yard box or between centre back and full back. When Phillip Lahm plays left back he is also very good at linking up with left footed wingers for much the same reasons. Perhaps when playing an out and out winger you need two footed or wrong footed full backs. please do not start vs. Honduras with two holding midfielders! Granted, Busquets and Alonso are more technically gifted than most deep-lying midfielders, but even that fact becomes irrelevant owing to rivals who, like the Swiss, only have a trequartista or second-striker in that area of the pitch. But Del Bosque is wedded to the double-pivot, I’m afraid. as many have pointed out the problems of width in stretching play meant that the striker (villa) was often frustrated because service would never reach him. whilst this is partly true, it must be noted that crosses (and receiving them in particular) are not the essential parts of spanish attack – they simply cannot head the ball into the goal with defenders higher than them and in greater quantity in the box. i was constantly frustrated watching players crossing into the box and having the swiss players head it out almost immediately again, returning it to spain and then repeating the entire cycle. it became more of a odds game – send enough crosses in and one will surely reach a spanish head. i’ve observed most weaker teams perform excellently against stronger teams with a tough defence that plays almost entirely on the counterattack, i’ve seen that in the Argentina-Nigera, Brazil-DPRK and Netherlands-Denmark matches, all of which despite brilliant talent in creating chances and finishing them, they struggled against a wholly defensive team. it becomes imperative that spain finds better ways to unlock the defence besides merely creative passing, which fails when there is an abject lack of space. higuain’s recent hat trick against south korea reminds us of the importance of understanding your strikers and providing the service they need – instead of sending crosses in which would not benefit the strikers, work on drawing out the defence and sending a ball through them (as with aguero’s lobbed pass to higuain for his goal). i agree with the replacement of alonso for fabregas, it would certainly add a new dimension to the spanish game. for me my greatest gripe was seeing the problems in defence for spain. as for the defence, i noticed that on both occasions where the swiss got into one on one positions with the keeper, that it was largely defensive errors. the goal was caused by both central defenders rushing up to try and claim the ball, leaving a hole in the defence which was not covered by either ramos nor capdevilla (i must say here that for me he was almost entirely absent from the game), and this resulted in a large space that the swiss could exploit. overconfidence on the part of puyol and pique in believing that they could win the ball easily perhaps, but i believe that against stronger teams such a problem would be easily exploited. should capdevilla and ramos continue to be ineffective in contributing to the defence, and refusing to venture forward to spread play, i can hardly see the spanish side doing its talent justice. Love the site. Dropping Alonso would be a huge mistake. I don’t understand how a group of talented midfielders couldn’t stretch the Swiss defense more often. Must have been a bad day but del Bosque may have to change their starting line up to add a bit more directness and variety in their play. Silva was great roaming in space during the Euros but maybe this team was a bit complacent believing a goal will eventually come. I’m not completely sold with playing Xavi and Alonso together, either one has to sit out and it was Alonso during most of the Euros and with good reason. They’re both amazing passers with great vision, but the roles seem to be overlapping one another. Fabregas should start in at least one of the two remaining group games because of his more direct style honed in the English game. He is brave, he is committed, and he loves to go forward playing quick one-twos with his team mates. He’s been adding more goals to his game and the only thing he’s been missing so far is playing time. Not saying Cesc is better or worse than others, but he’s different. Great analysis specially with the images provided but I was absolutely shocked that Del Bosque would play with two holding midfielders in Xabi and Busquets. Surely that wasn’t needed. I am pretty sure other have alluded to that above (sorry I haven’t read all 95 comments yet). Other than that as Z says, Silva performance was shocking. Villa scores that chip 99 times out of a 100 and Pique surely scores for Barca v Madrid but missed here. I did notice Ramos’ position many times during the game when he showed a complete and utter lack of ambition but that might have to do with directions he was given by Del Bosque. I frankly expected a lot more from Del Bosque but this was a huge huge disappointment. I’d been boasting almost at work saying wait until Spain play – well suffice to say it didn’t turn the way I expected and what I wanted people to look forward too. Hitzfeld though is a good tactician and I was a bit wary but still believed Spain would be too much. Very very SAD! I have been coming to this website pretty regularly in the past month since I discovered it accidentally. Kudos to you and the team. I had a question about the Spain game. When the opposition centrebacks are tall and strong, having a winger like Navas cross balls in will not lead to goals. I was wondering what you think about the idea of putting Iniesta in the middle, rather than on the side. Iniesta can wriggle past players because of his close control in tight spaces. Del Bosque made a huge tactical error in leaving him on the left side (until he got injured) in my opinion. Do you agree to this assertion? You forget that a cross does not need to be aimed at head height and a winger can equally hit the byline and cut the ball back on the deck. I kinda agree with this. Villa’s pretty good from crosses, really. I think it’s a vey Anglocentric view which sees wing-play as synonymous to lobbing high balls onto the head of a forward in the box. The most dangerous cross is the one the classic outside-forward (not wide-midfielder) used to always do: the cut back. Possession does not win you games. Spain are a great possession based team notably in central midfield. Unfortunately for them they yet again fell into the trap of turning their clear technical advantage into a clear disadvantage. Like the Arsenal teams of old Spain simply passed the ball around in order to retain possession in the hope that eventually they would create a clear chance but in reality they got nowhere. Ultimately Switzerland opted to compress the play and allow Spain to have all of the possession they wanted in non-dangerous areas of the pitch. They dared Spain to utilise the flanks but Spain declined. When the ball was won Switzerland went direct, took a few risks and finally got their justified reward. For Spain it was a problem of player composition, player selection, system and mentality. As has been identified Spain opted to use two holding midfielders, one defensive in nature (Busquets) and the other a deep-lying playmaker (Alonso). Playing ahead of them in what was intended to be a free role was a retainer (Xavi). The belief was that by having two players sitting behind him Xavi would have the freedom to roam about the pitch and make incisive passes further forward. It did not work out like that for two primary reasons. The first was that the area in which Xavi was expected to operate was congested which reduced his time on the ball and limited his ability to find an attacking team mate with a killer ball. This occurred through a combination of, (1) Switzerland playing narrow and Spain refusing to utilise width to stretch the play and get behind, (2) Iniesta and Silva constantly drifting inside to further crowd the area in front of the Switzerland defence and, (3) Villa being isolated and having to drop back as well in order to gain possession. The second reason is simply that Xavi is not an attacking midfielder. He has some of the required attributes but in this game he constantly drifted back to collect the ball and start from deep which rendered Alonso redundant. Even when he had the ball further forward he simply had no-one to aim for and his use of the ball was too slow to make a difference. Xavi is effectively the metronome of the side not a player to be expected to dribble at players or always look for the killer ball as a player playing further forward is expected to do. That is all I will say about players and tactics because it has been well covered. I would like to move on to briefly discuss team mentality. Spain are great at passing and ball retention but it has resulted in a team that lacks balance. At times it appears as if short passing is so instilled in the players that they do it automatically without thinking about other options first. Instead of being direct, taking a chance or adopting a different approach such as hitting the byline and crossing or cutting the ball back they always look for the short, simple pass to a team mate in order to retain possession. It quickly becomes passing for the sake of passing as the players have the belief that their approach is above all others and that eventually, if they keep passing, an opportunity will present itself. There is seemingly no Plan B. Even with the inclusion of Navas the rest of the team continued to play in the same manner and he was left either aimlessly throwing a cross over to no-one or trying to run the ball into the box himself. It was only later on when realisation struck that time was running out did desperation creep in and players start to up the tempo and be more proactive about trying to find an equaliser. It was as if no-one was willing to stand up and be an individual. As if no-one was willing to believe in them self. Continuing to aimlessly pass as part of a team seemed to be the safe option. Xavi and Alonso are not exactly equal players as many have suggested, labeling them both as deep playmakers. In Barcelona, Xavi has played many times next to the holding midfielder (Toure or Busquets), leaving the more advanced positions to players suchs as Iniesta, Messi, Henry, Pedro or Ibrahimovic (Etoo and Ronaldinho before). This is the exact same position Alonso is covering at Spain and in Real Madrid, but their nature is completely different for one very simple reason; Alonso seeks to release the ball as fast as possible, while Xavi thrives at holding it and protecting it until his partners have reached the right positions or insinuated a pass line. Alonso is the best at long passing and Xavi is excellent at this too, but Alonso feels very unconfortable holding the ball and is nowhere near as effective when getting higher up the pitch and connecting shorter through passes. Spain’s main difference with the team that won the Eurocup is the problem of replacing Marcos Senna, being Alonso not as capable defensively, and being Busquets nos as capable in terms of playmaking. Xavi played next to Senna in the Eurocup an IMO this should be maintained, leaving Busquets as the only holding midfielder since he is the one more able to cover up spaces given Spain’s high defensive line and Barcelona-esque intense pressure to recover the ball. The embarrassment of riches that greets Del Bosque every time he looks at the team sheet may provide him more problems than solutions for match situations. The fact that he has a number of players who are termed “undroppable” is a cause for major concern. He has to acknowledge the fact that more than one player in his current eleven needs to be dropped to streamline his team’s game. First and foremost, David Villa. Yes, he plays as a lone striker for Valencia FC and has for Spain for a long time(and has scored more goals in national colours)but Torres is more effective as a lone striker as he doesn’t venture deep as often. This may have to do with the fact they have different roles for their respective clubs (Torres being ensured of better supply from midfield than Villa). Villa may have to play similar to Torres when he starts of at Barcelona. Spain needs a finisher in the box at all times and Torres fits this profile better. Torres is also a more direct player which is what Spain needs sometimes also highlighting the lack of variety in their attacking formations. The defensive midfielder position is the most open to debate and it’s not too difficult to comprehend why this is so. Replacing Marcos Senna is impossible with this squad and they shouldn’t look to either. Busquets is in the team for this precise reason, to bring discipline and hard work into this flair abundant side (The most overused cliche of the year) . Xavi can definitely play alongside Alonso as the deep lying play maker which of course is the popular opinion and it could work. Passes would flow easier from defense to midfield and cut down on long pointless sideways passing that the Spanish are forced to make when the midfield is being closed down by the opposition. This frees the three attacking players, Iniesta, Fabregas (playing in his most preferred position, one which is indisputably his own in the Premier League)and Silva to carry on with their duties. Iniesta and Silva are interchangeable and of course Navas can always be introduced for the width option. They have more options in the form of Riera and Pedro to inject some pace in midfield. Then there is the Galactico, Sergio Ramos. Provides almost nothing going up front except the inside pass to the midfield mostly because of lack of support on the wings. He is not assured enough to track back so he stops by the half line and always looks to lay off the ball to someone who is more willing. Arbeloa might not be the best replacement but he will surely provide more going forward than Ramos. Do they need any more attacking prowess when they have the best midfield in the world? This is the world cup and no time time to get complacent. And besides, Ramos and Arbeloa are of similar defensive pedigree even though not on paper. Maybe Ramos can come in to replace Carles Puyol later in the match to play in his natural central position where he is much more assured(or used to be). And finally to to the goalkeeper. Pepe Riena undoubtedly had a better season than Casillas and Del Bosque needs to acknowledge that right away. Hiding behind the Galactico tag is doing them no favours. Spain clearly needs to drop the “undroppable” strategy and move on. And besides the dropped names aren’t being replaced by amateurs but seasoned professionals who have seen it and done for their clubs and would love to do the same if and when given the chance and confidence, garnered only through first team starts.